In the heat of the 2015 Michigan summer, I’ve been wearing a new hat that’s as cool for its style and as it is for its comfort. It’s by Imperial, a longtime leader in headwear that’s celebrating its Centennial next year. At first, I was skeptical about wearing a black hat that’s 100% polyester. But what separates this Imperial hat from its competitors is its patented Coolcore fabric. 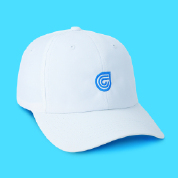 Coolcore hats are designed to wick moisture away from the head, move it throughout the hat and then regulate evaporation. According to product information, the result is reducing surface fabric temperature up to 30 percent, compared to skin temperature. I can’t attest to that figure but anecdotally this hat is cooler than anything else in my collection. As an added plus in this age of natural materials and processes, Coolcore delivers this inherent fabric property without the aid of chemicals or additives that might wash out or degrade over time. On really hot and muggy days, here’s a routine that works like magic to beat the heat with this hat: just splash some water directly on it. Then just give it a shake before donning it. Presto! You’ve just sped up the cooling effect. The model I’ve been wearing is a soft-structured profile with a micro-velcro elastic loop closure. Nicely, one size fits all. Suggested retail price is $30. And in the case of the best of both worlds, the Coolcore Collection (which boasts structured hats and visors) also includes a wider brim bucket hat model called Old Norse. Yep, cooler heads will prevail with this smart line of Imperial hats. And by the way, Imperial, happy 100th birthday!